Night vision goggles of Red Army! Around the World, Head Mounted Displays, Stereoscopic 3D, Where Are They Now? 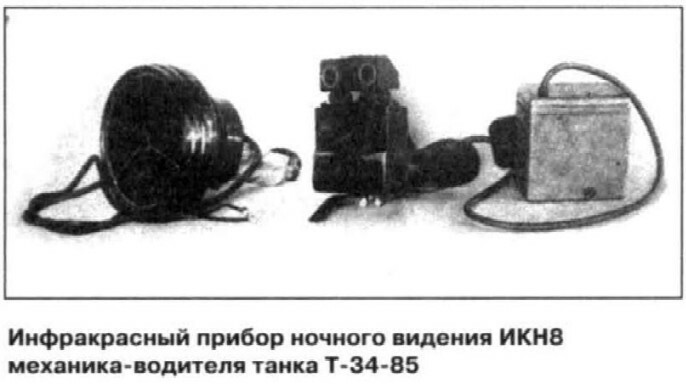 Suddenly, I found the information that USSR army, just before World War 2 developed electronic head-mounted infra-red night-vision goggles for tank crew! 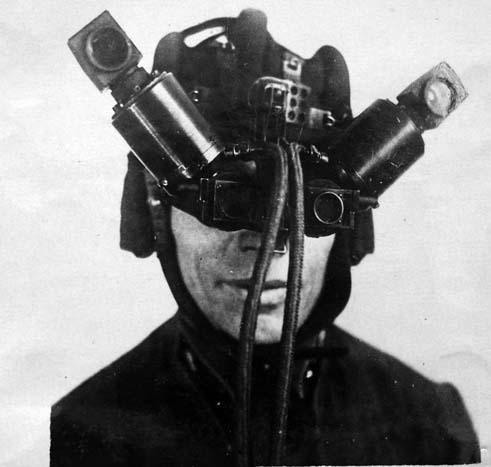 It is not exactly a virtual reality subject, but nevertheless it’s early days of electronic HMD’s in Soviet Union. 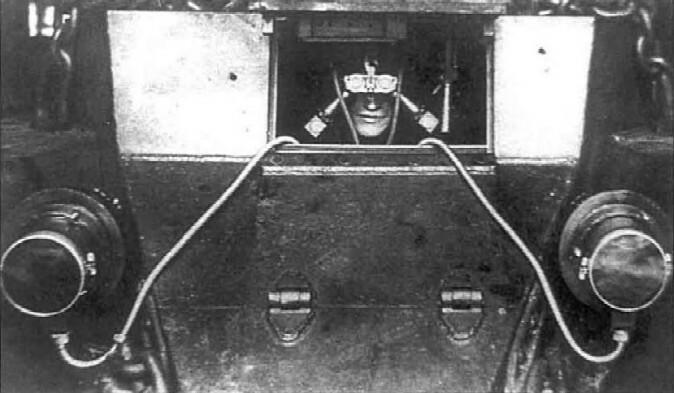 In 1993-1940 years infra-red goggles “Ship” and “Dudka” were tested by crews of BT-7 light tanks. “Ship” was developed by national optics institute and Moscow institute of glass. Device included: infra-red periscope goggles, and additional accessories for driving machinery during night. 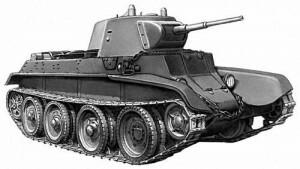 Upgraded version “Dudka” had field tests during June 1940, and after in January – February 1941. 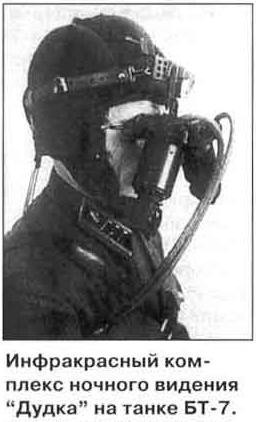 Device included: infra-red periscope goggles for tank driver, and crew commander, two infra-red beamers (by 1 Kilowatt each, 140 millimeters diameter each), control unit, separate IR signal beamer, cables and accessories for goggles. Goggles weight (without helmet-mounting) 750 gram, FOV – 24 degree, seeing distance at night – 50 meters. These devices approved all specifications of Red Army, but because of bulky construction design, usability issues, especially during winter-time, goggle construction needed additional development, which wasn’t made because of World War 2. Research and development continued after WWII. Read the whole story in English or the original Russian.